Camping is a great way to help you reduce stress. Being in the outdoors gives you a sense of natural peace and serenity. And it also gives you a chance to stretch out those cramped muscles of yours. However, camping, when executed unplanned, may yet be a source of stress and even injury. So, in camping, always practice common sense. The effort you put in planning the trip, including the things that you have to bring, may spell the success or failure of your camping trip. Remember the horror stories you hear from people who despise camping because of bad judgment or simply embarking on the trip with a 'come-what-may' mindset. 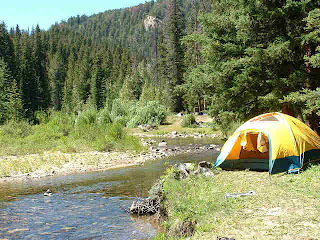 Yes, camping is supposed to be roughing it up but it does not mean you should not plan it. Camping should be an exciting experience but it ceases to be that when trouble sets in. 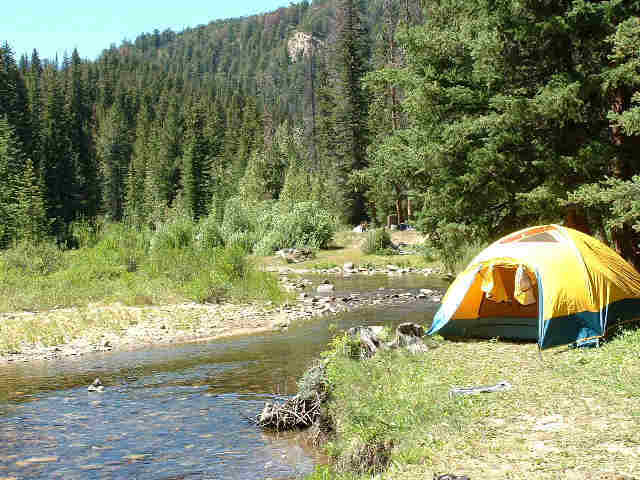 Here are some camping tips that you can opt to follow. 1. Before you get too worked up, line up all the camping gear that you intend to cram in your backpack and give it a once-over. No, check it twice, even three times. I am quite certain you will be able to think something up, an item that is not on your list that might eventually become handy in the outdoors or on this particular trip of yours. 2. Bring extra clothing. This is a contingency for events like a slip on muddy ground, or a fall while crossing a shallow river, or perhaps just a sudden change in climate. Always think ahead. 3. Bug repellents and sunscreen are musts. Do not allow your night to be a sleepless one. 4. Heavy items at the bottom of the bag, lighter ones on top. Crushed food or damaged gear can be a hassle. 5. It would be advisable to precook hot dishes if your plan is to relax on the camping trip. All you have to do when you get there is preheat it and then enjoy. Of course, cooking outdoors is awesome but it would be better to do some heavy cooking on the next day. You might want to rest after that long trip. 6. Make a list of your menu from breakfast to dinner. This way, you can pack your stuff better, last in first out. 7. If water is an issue on the camping area, stock up on drinking water and instead of bringing regular plates, carry paper plates instead. Just make sure you also brought along garbage bags. 8. Of course you did not forget flashlights but always bring extra batteries for emergencies. 9. First aid kits are always a first when traveling into the wild. 10. Always keep out an eye for possible sources of problems. It would not hurt to be proactive. Always remember, camping can be really fun when you want it to be. I really like this website, and hope you will write more,thanks a lot for your information.